James Lau visited The HKFYG Jockey Club Wang Tau Hom Youth S.P.O.T. 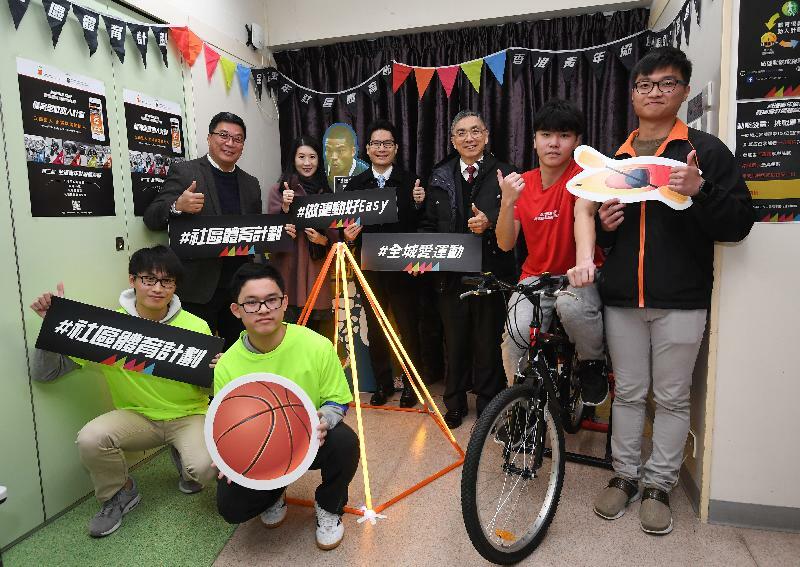 The Secretary for Financial Services and the Treasury, Mr James Lau; the Under Secretary for Financial Services and the Treasury, Mr Joseph Chan; the Chairman of the Wong Tai Sin District Council, Mr Li Tak-hong; and the District Officer, Ms Annie Kong, with youths participating in the “Community Sports Scheme” organised by the Jockey Club Wang Tau Hom Youth S.P.O.T. under the Hong Kong Federation of Youth Groups in Wong Tai Sin District on February 7. They were briefed on the services provided by the centre. They also chatted with young people and encouraged them to broaden their horizons.